If you want to create multiple rythmic variations and modulate various parameters for sound creation, then this plug-in is probably what you are looking for. 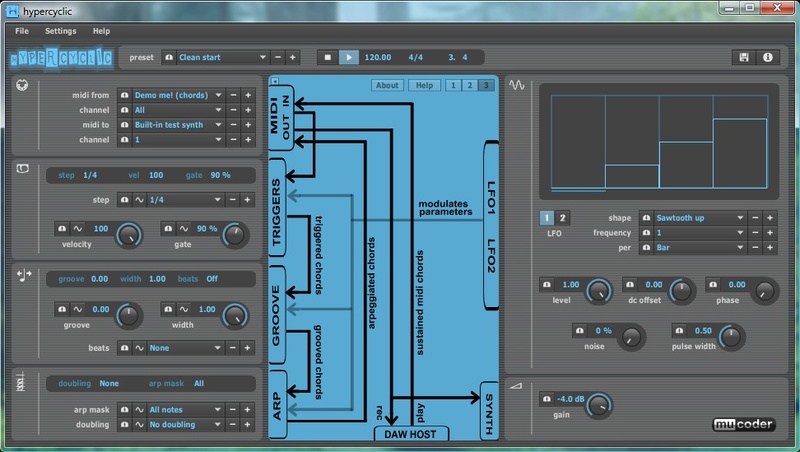 With the hypercyclic, you can create MIDI patterns that you can recorded or you can send to other plugins. It's like getting a mixture of randomness and order. Get a random sequence and a syncopated sequence and fit both into a beat or measure. You can come up with glitchy stutter effects, experimental modulations, two tempo syncing with LFOs. You can also go crazy and create experimental rhythmic effects and chord variations.